Pet parents who also happen to be outdoor junkies need a dog that they can bring along with them in their adventures. This four-legged, furry adventurer must have the stamina to trek tens of miles at a time in addition to exceptional zest for life. They also need to be obedient enough to respond to their human master’s commands and can display courage to brave the uncertainties of the great outdoors. All dogs love the outdoors, but only a select few can have the bragging rights to the badge of an outdoor dog breed. Here are 10 breeds that we believe are the best when it comes to adventures in the wild. Contrary to what you might think, the Australian Shepherd is a pure-blooded, proud US-made dog. It boasts of many talents with herding topping the list. It has a very competitive spirit, winning in competitions like herding trials, tracking, flyball, and flying disc games. The Australian Shepherd is a very active dog – a trait that outdoor adventure junkies can appreciate. 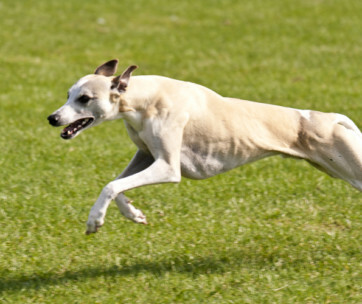 It can run for miles non-stop and perform maneuvers that very few other dog breeds can accomplish. It is smart and has the singular focus of a Yorkshire Terrier. It is never content on doing the same thing over and over. For newbie Australian Shepherd owners, the dog can be a real problem. You see, this breed requires a strong leader for it to thrive. The Australian Shepherd is a working dog that loves being outdoors. Early training is important for this breed. Its instinct to herd its flock is so strong that it will nip at the heels of other creatures, including children. 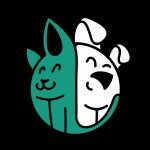 Taking care of its activity needs can make this dog the perfect partner in crime as you take your adventures in the wild. If you’re familiar with the film Balto or the 1925 Great Race of Mercy, then you know that one of the best outdoor dog breeds on the planet is the Siberian Husky. These dogs braved the harshest conditions of the Alaskan wilderness. They ran more than 600 miles to deliver life-saving diphtheria serum to the disease-stricken population of Nome. It is sad that many modern Siberian Huskies are no longer sled dog racers. They are now the quintessential pets of families because of their lovable nature and adorable physical features. But fans of the breed can still rely on the working instincts of the Siberian. It loves the snow and as such is best for Alpine adventures. It has a dense double coat that gives the dog exceptional thermal protection. This is one dog that will never say “no” to an adventure high up in the snowy peaks. Keep in mind, however, that the Siberian can be very testy. It is very intelligent and it expects you to be of equal intelligence, if not higher. It can be very stubborn to train, unless you know how to keep its interest. People from the Land Down Under call this breed the Blue Heeler because of its unique bluish coat. You should never underestimate this mixture of a Collie, Bull Terier, Kelpie, Dalmatian, and Dingo. It may not have a star-studded origin, but it’s a top dog when it comes to endurance. You can trek the deserts of the Kalahari or the steppes of Southern Europe with this hound by your side. You will never hear it complain. One thing you need to get right with the Australian Cattle Dog is training. Do it right and you’ll get a worthy companion in all of your outdoor exploits. Its stubbornness can be a real pain to deal with. But the good thing is that it never loses focus on its objective once it has set its mind to it. Like all working dogs, the Australian Cattle Dog has lots of energy. This is essential if you want to hike tens of miles at a time. Its ruggedness is a valuable trait in the Australian Outback. As such, this can also be an invaluable asset once you head outdoors. It may have a short lifespan, but the Bernese Mountain Dog is full of life. It excels in pulling carts, acting as a watchdog, and driving its master’s livestock to the market or to the open fields of Bern, Switzerland. It is a true-blue working dog that you can depend on for any activity that you have in mind. Too bad, many pet owners today turn the Berner into a lap dog, a family companion, and a show dog. But if you’re looking for a worthy companion to bring to your next outdoor adventure, you won’t go wrong with the Bernese by your side. Be ready with training this dog, though. It’s a working dog that loves drafting, herding, and tracking. It also excels in agility, a trait that can come in handy when navigating tight spots in the wilderness. The best part of a Bernese Mountain Dog is that they can be very lovable, too. It can be lonely in the wild so you’ll be glad you’ll have the Berner by your side to cuddle with. Needing no formal introduction is the Labrador Retriever. 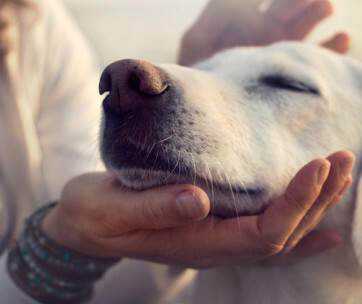 It may not be as intelligent as the Border Collie or the German Shepherd but very few dogs can surpass the Labrador’s family-friendliness and stability. It is no wonder then that the Lab holds the top spot in the hearts of Americans. Outdoor junkies will love the Lab’s passion for life and easy-going nature. This is a dog that loves to play, but also knows how to get serious when the situation calls for it. It is one of the very few dog breeds that can show amazing versatility. It is a wonderful companion and a great show dog. It can also be a canine athlete, a super sniffer, and a guide dog. It’s the dog that search and rescuers use in their exploits. It’s a hunting dog, too. Taking the Lab to the great outdoors is like bringing several of your buddies to perform different tasks. It can swim, ride a boat, and go on long hikes. Its willingness to participate in any of its owner’s activities is one of the best things about this breed. Adaptability, strength, bravery, and intelligence are traits that any avid explorer of the wild will want to have in an outdoor dog. These are the traits that have come to define the very existence of the German Shepherd. It is one of the planet’s most handsome, most loyal, and bravest dogs you can ever have. Like the Lab, the GSD is so versatile that it can perform different tasks that you train it to do. Law enforcement units love the dog and so do search and rescue organizations. Those undergoing therapy can also find solace in the gentle nature of this German creation. Outdoor adventurers love the GSD’s uncompromising work ethic. This can help them navigate through the uncertainties of the outdoors. You can never question the loyalty of a GSD. Its agility is also commendable, despite its size. It may have its origins as a herding dog, but decades of continuous improvement now put the GSD as one of the most versatile working dogs on the planet. It is fearless and has this uncanny ability to detect threat from afar. It’s what you need whenever you head outdoors. A descendant of ancient Roman Army dogs, the Rottweiler has a fearsome reputation. But for those who understand the breed, this is a dog that is as loyal as a GSD. It is also as friendly as a Lab if only it gets the right training and socialization early on. In the hands of a true pack leader, the Rottweiler can be a gentle giant and an obedient dog. It has a solid-muscled body that makes it ideal for trekking in the wilderness. After all, that was its job during the time of the Romans. Rottweilers are valuable for their ability to drive the livestock of farmers to the market. At the same time, their courage and strength make them a great guard dog against potential livestock threats. Going outdoors with a Rottweiler in tow gives you a sense of security. You’ll feel more confident that you have a four-legged bodyguard by your side. It is also very sturdy to take long trips. This is a venerable working dog, after all. This gentle giant may not look like a worthy outdoor dog but it is. Its origins say that it comes from the Mollosers of Tibet and northern India. They are famous for accompanying nomads and traders making their way on the ancient Silk Road. These dogs are fighters, guards, and hunters. 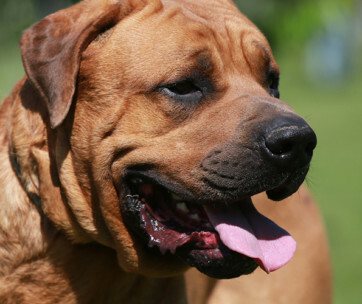 Ancient Greeks consider the ancient Mastiff as the guardian of Hades’ Underworld. Its size alone is enough to deter troublemakers you may meet in the wilderness. It will never back down from a fight against ferocious wild beasts like tigers, hyenas, and wild boars. It will protect you from anything that it perceives as a threat. This is a dog that is as loving as any other dog, but with the protective nature of its ancient brethren. Before you can bring this giant along on your outdoor adventures, make sure to invest in the right training and socialization. It is not easy to go on an adventure with a dog this big if you cannot rely on it to follow your commands. Consistency and fairness are important when training this gentle giant. With its copper-colored coat, there’s no mistaking the Vizsla. This is a well-respected hunting dog that looks like an exotic version of the Pointer. It’s smaller than the Weimaraner, but its slender body is perfect for hunting in the great outdoors. It’s a prolific hunter of pheasants, turkeys, partridges, and grouses. Rabbits and waterfowl are also on the list of game animals that the Vizla can hunt. While this copper dog is a great hunter and outdoor dog, there is one thing it cannot live without – you. Like other dog breeds, the Vizsla is very prone to separation anxiety. As such, it is always wise to bring it with you in your outdoor adventures. Otherwise, you will be coming home to an abode in complete disarray. The Vizsla loves to hike, walk, and run. It’s a great dog on long treks. Its sleek body is perfect in certain situations that may require running through tight spots. But be ready to train this hound as it can become destructive if you don’t know how to channel its excessive energy. At the very least, you will never have a hard time training the Vizsla. Many folks confuse the Rough Collie for the Border Collie. The latter is the world’s most intelligent breed of hound. Its cousin, the Rough Collie, is an eager beaver. It is so energetic outdoors that it can turn your adventures into a memorable playtime. The good news about Lassie here is that it is calm indoors. It never brings its boisterous outdoor character inside the home. It is a heavyweight, yet it never shows in its moves. The Rough Collie is as agile as a Border Collie and as elegant-looking as a Siberian Husky. It’s an athletic dog, a trait that can come in real handy when having your adventures in the wilderness. It can walk with you for miles on end. Training the Rough Collie is crucial since its herding instinct is very strong. On the plus side, training it is not that difficult. You have to understand that Lassie already knows that following your commands will result in lavish treats and rewards. They are one of the masters in herding and obedience events. This makes the Rough Collie a worthy partner in the wild. There are many other breeds of dogs that can become your partner in your outdoor adventures. But these 10 deserve to be at the top of the list because of their endurance, intelligence, versatility, and pure love of the outdoors.